A doctors' union issued a statement predicting a possible increase in the death toll due to the conditions of wounded protesters. 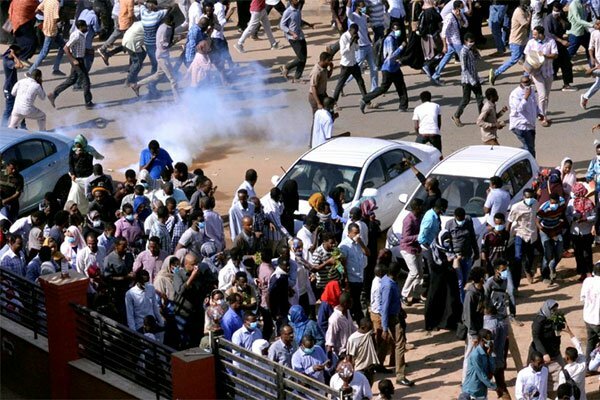 A doctors Union in Sudan called “Doctors Syndicate” has said that at least 57 people are so far known to have died in the ongoing protests. The protests which started last year continue to sustained with demands for an end to President Omar al-Bashir’s 30-year-old rule. On Friday the doctors’ union issued a statement predicting a possible increase in the death toll due to the conditions of wounded protesters. The violent protests were triggered after bread prices increased from one Sudanese pound ($0.02) to three Sudanese pounds ($0.063). Bread prices in Sudan are said to be astronomically higher as a result of the country’s economic challenges. The prices of bread have more than tripled since the start of last year. It was caused by the government decision to stop importing wheat from overseas. Security forces are reported on several occasions of shooting into the protesters to disperse them resulting in casualties. During the week there were reports of a key protester Ahmed al-Khair beaten to death while in custody. Omar Al-Bashir has said that he would not be stampeded into leaving office. “Demonstrations will not change the government,” he told his supporters in Niyala, the capital of South Darfur state. “There’s only one road to power and that is through the ballot box. The Sudanese people will decide in 2020 who will govern them,” he said. Bashir is planning to run for the presidency for the third time in elections to be held next year. The Sudanese leader also accuses what he calls external conspirators for ongoing anti-government protests. He came to power in 1989 when he led a group of officers in a military coup that ousted a democratically elected government.